Kathy Simmons, a beautiful soul, completed her work on this earth on April 7, 2018. She was born on June 20, 1951 in Salt Lake City, Utah to the parents of Barbara Hammon and Ronald Clark Wiberg. She was later adopted by Kenneth Hammon Sr. On October 14, 1983, Kathy married Jerry Simmons, the love of her life. They had a loving and caring relationship. Kathy loved everyone. She always saw the good in others. She never forgot a birthday or anniversary, and her elaborate homemade cards were a treasured work of art. Kathy lovingly knitted sweaters and crocheted dish cloths. At every family gathering, she was behind the camera snapping hundreds of photographs. She was the family scrap booker and catalogued thousands of family photos to preserve the family history. Kathy was a member of the Church of Jesus Christ of Latter-day Saints. She served in many callings including teaching gospel doctrine, relief society, and primary as well as serving as a visiting teacher. Her current calling was to decorate the ward bulletin board, and she lovingly spent hours on her designs. Kathy was an avid reader and immersed herself in the scriptures. She loved the temple and genealogy work. She leaves behind a legacy of love, service, and happiness. Kathy loved dogs and horses, especially her sweet lab Gunner. She won hundreds of trophies, ribbons, and saddles during her barrel racing and horse showing days. At age 12, she won the IQHA Youth Champion on Rudy Diamond, her legendary barrel horse. Kathy bred race horses and enjoyed great success with Angel Diamonds and Square Concept. In her later years, she worked on the Campbell Farms where she helped her “adopted” daughter, Jessica, teach riding lessons. Jessica held a special place in her heart and this relationship brought her great joy. 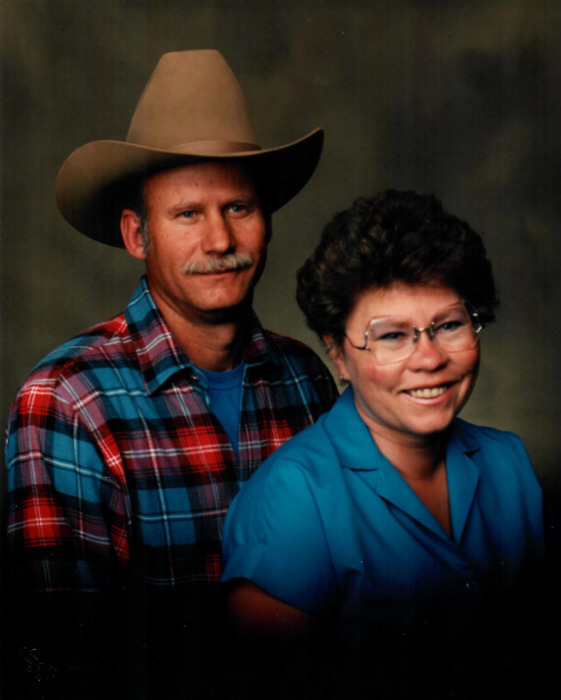 Kathy also loved four wheeling, hunting, and riding horses in the mountains. Kathy is preceded in death by her parents, her step-son Dusty Simmons, and her step-brother Jeff Hammon. Kathy is survived by her husband, Jerry Simmons; her step-children Danielle Lloyd (Jared Maez), Wendy Mae Brown (Ron Lourenco), Holly Rae Kennan (Brent), and James Evan McCowan (Linda); her brothers and sisters, Terri (Steve) Marberger, Mark (Celeste) Hammon, Sue (Ron) Pedersen, Ronald (Cathy) Wiberg, Merrie (Clyde) Lindeman, Stephen Hammon (Terry), Michael (Mary) Hammon, Tricia (Terry) Anderson, Jill Hammon, James (Marti) Hammon, Kenny (Jessaca) Hammon, Daniel (Courtney) Hammon; her aunt, Fran (Garald) Yates; and her beautiful grandchildren. Kathy was a beloved aunt and will be deeply missed by her many nieces and nephews. What a good ride, thank you Kathy! The family would like to thank Jacee Hammon, her niece, for the sweet love and care she gave Kathy at the time of her death. Funeral services will be held Friday, April 13, 2018 at 11:00 a.m. at the LDS Eastridge Building, 3290 N. 1050 E., Layton. Friends may visit with family on Thursday from 6:00 to 8:00 p.m. at Lindquist’s Layton Mortuary, 1867 N. Fairfield Rd and Friday from 9:30 to 10:30 a.m. at the church. Interment, Lindquist’s Memorial Park at Layton, 1867 N. Fairfield Road.